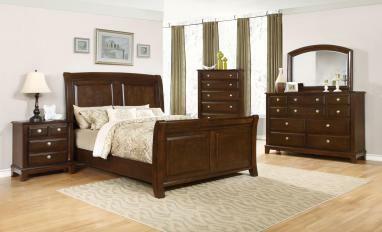 The Albright bedroom collection offers casual elegance to your master suite. Constructed from pine solids and birch veneers, bookmatched veneers take a V-shape on the drawer fronts and bed for a sophisticated design detail. 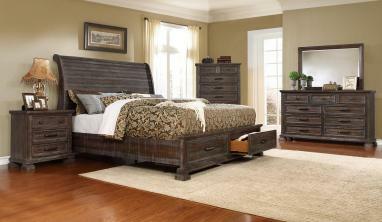 The dark cherry finish complements the shiny metal drawer hardware, hexagonal shaped knobs with hexagonal back plates.